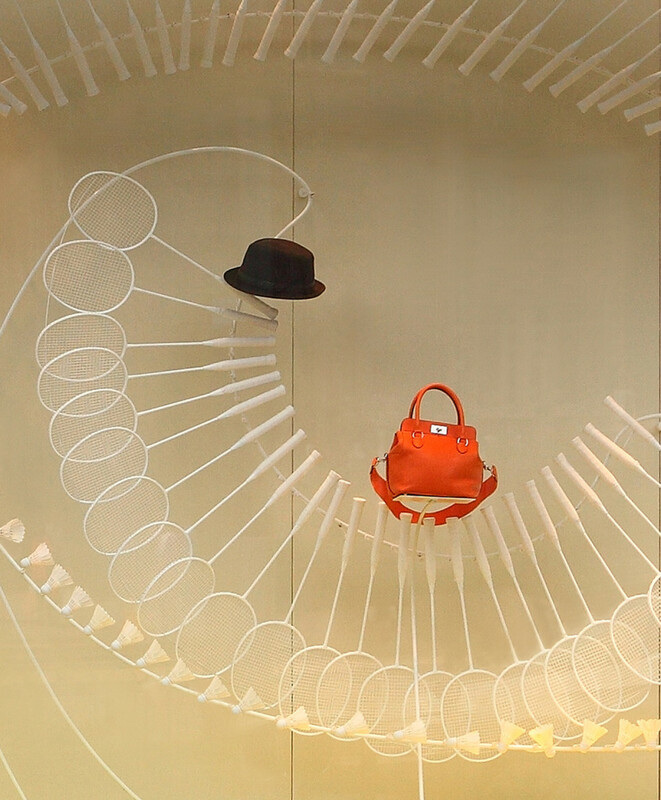 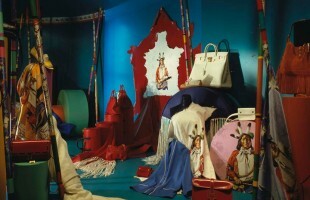 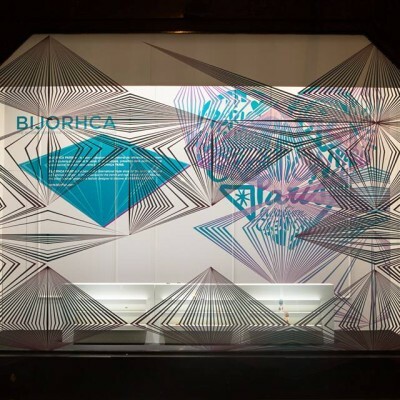 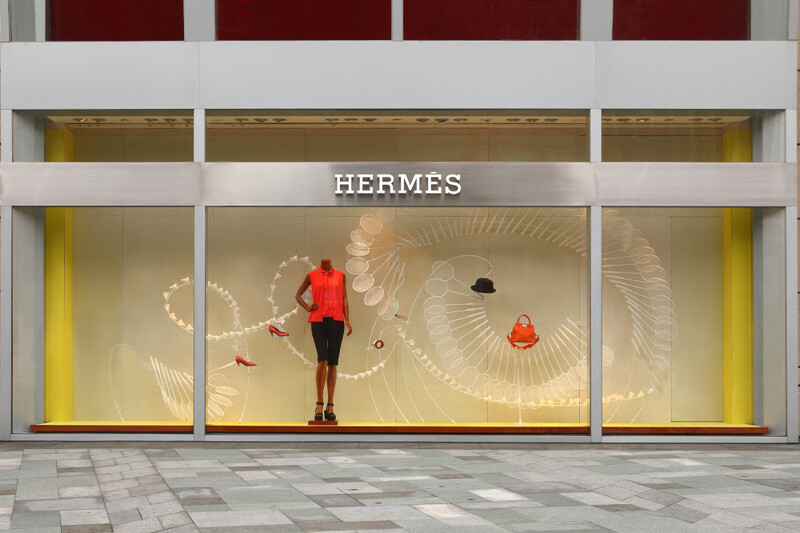 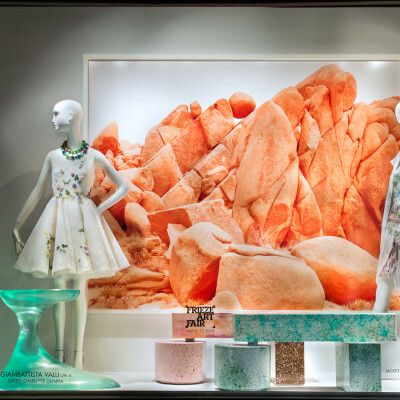 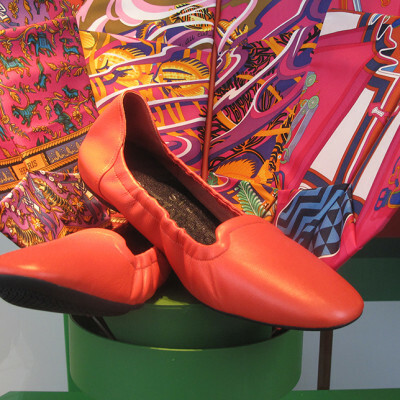 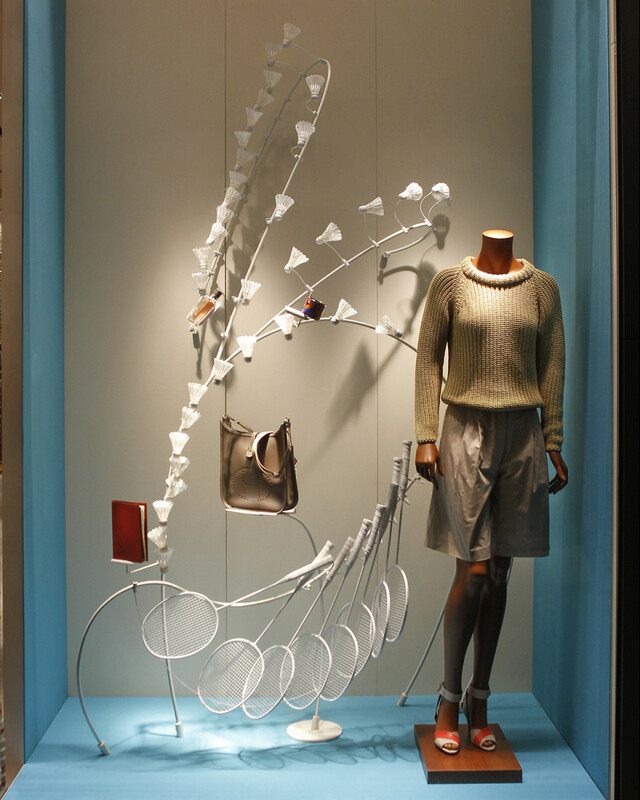 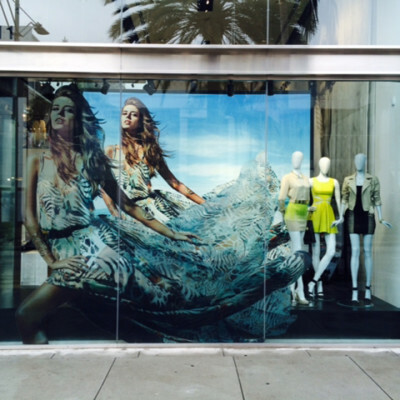 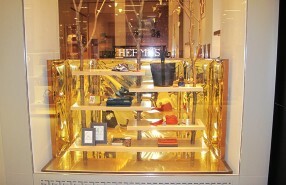 Design Systems Ltd designs the window display for Hermès’ boutiques in South China regions. 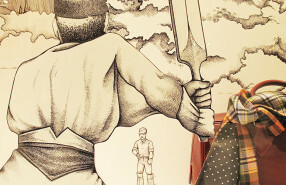 The theme is “A Sporting Life”. 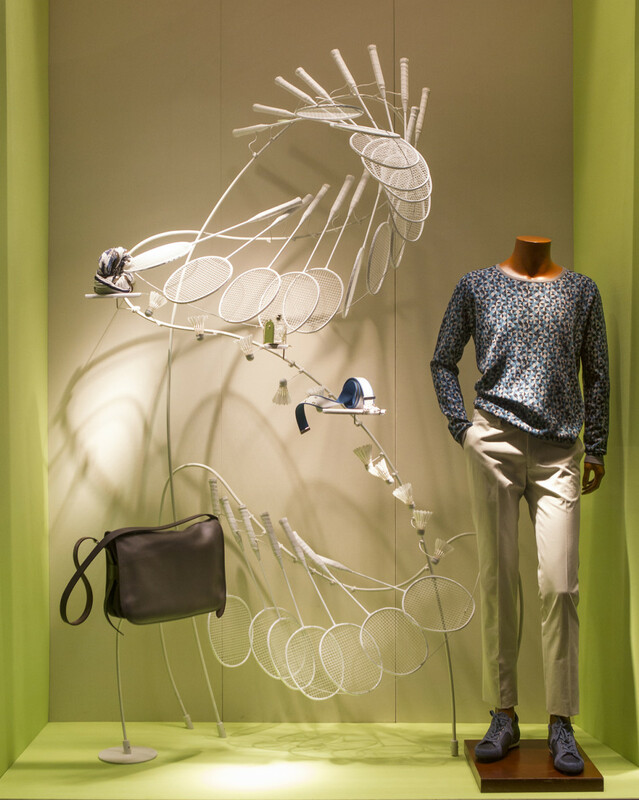 Instead of viewing sport as competitive or manifestation of strength, the designers have taken an aesthetical perspective, and chosen badminton for the windows as a sport of leisure which is much loved by the China market. 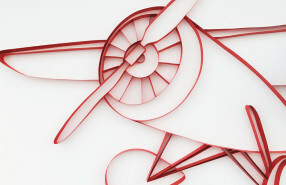 In the tango between the shuttlecocks and badminton rackets, the design records the loci of movement and rediscovers the elegance of sport.